When did you last check in with your financial advisor? Six months ago? A year ago? Longer? If it’s been a while, listen up: Your wealth-building isn’t something to put on the back burner! As you prepare for and work toward your dream retirement, regular checkups with your financial advisor are crucial. Now, I know these conversations can seem intimidating. After all, most of us don’t interact with mutual funds and brokerage fees on a daily basis. How do you know what to say? The great news is that you don’t have to understand everything about the investing world in order to discuss your financial portfolio. You just need to know what to ask. To help get you started, here’s a list of ongoing questions I recommend asking your financial advisor—along with the answers you’re looking for and some red flags to be aware of. Question #1: How is my portfolio performing? Notice that I didn’t ask how each fund or even how an individual stock is doing. That’s because you’re looking at the big picture. 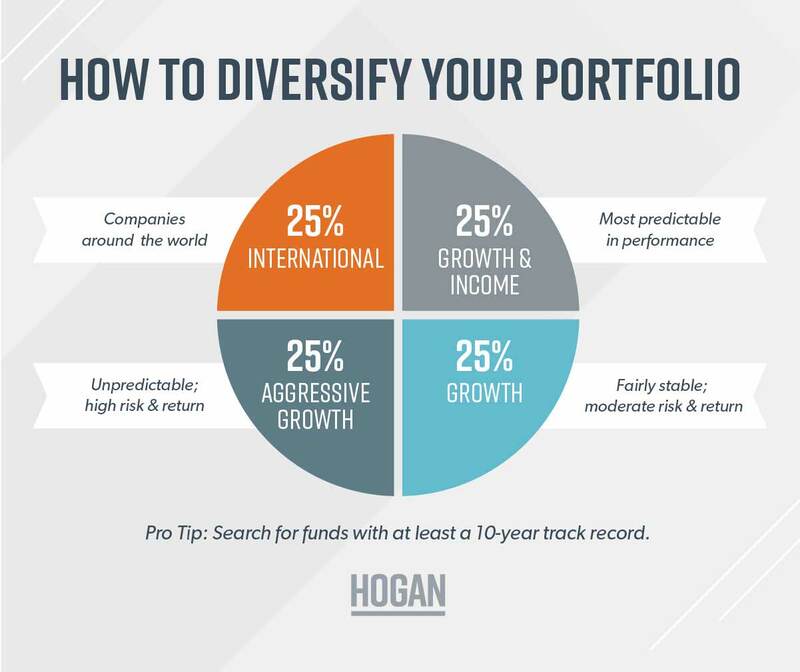 How are your investments doing when grouped together? If your portfolio is earning money, that’s good. On the whole, your investments should keep up with or even beat the stock market’s average over time. If certain funds are doing well, you need to know why those funds are doing well—and vice versa if funds are not doing so well. If your portfolio is consistently losing money even though the market is good, something is wrong. You need to dig deeper with your financial advisor to find out what’s going on. Question #2: Should I rebalance my portfolio? Here’s something to think about: Part of your car’s maintenance involves getting your tires balanced. That’s because over time, your tires hit rocks, potholes and other debris that knock them off-balance. That can make the rubber wear unevenly, the steering wheel shake, and the life of the tires shorten. Growth and income funds. These are the most predictable and stable funds in the market. Growth funds. These funds are fairly stable, but they’re a little riskier than growth and income funds. Aggressive funds. Think of these as the wild child of funds. You never know what could happen! These stocks could go up or down in value quickly, which is why you don’t ever want to put all your money in aggressive funds. International funds. These funds are made up of companies from around the world and outside your home country. Maintaining a balance in your portfolio helps you take advantage of the market’s growth and keeps you from putting all your financial eggs in one basket. But if you don’t meet with your advisor to ask questions, you’ll never know if your account needs this kind of maintenance. Question #3: Should I tweak my investment strategy? Making sure your portfolio is balanced is only one part of keeping your financial plan on target. You also need to make sure your overall strategy is tracking with your age, your income, and when you want to retire. When you’re young, you have more time to invest. With a longer time horizon, you could probably afford to invest in funds that carry a little more risk. Why? Because there would be time for the market to recover any losses you might have. But when you’re closer to retirement, you want your money to be in less volatile funds. This helps to protect the wealth you’ve grown over time. As your life changes, so does your strategy. Based on your goals and your current financial status, you may need to save more. Or maybe you need to save outside your work retirement plan. Or you might discover that you’ve reached a milestone sooner than you thought and you need to adjust your strategy to protect your wealth. That’s why you need to ask this question on an ongoing basis. Question #4: What’s missing from my financial plan? Life turns on a dime. One day you’re taking your kids to preschool, and the next you’re dropping them off at college. You get a different job. Your parents age. Your spouse wants to open a business. As your life changes, so should your financial plan. By talking with an advisor, you can look for gaps in your current plan. You may discover that you need to set aside more money—or even set aside that money in a different place. You may have built enough wealth that you need to get umbrella insurance to protect yourself against a lawsuit that could threaten your nest egg. Or you may need to talk about setting up a living trust. But you won’t know what’s missing from your financial plan unless you’re asking this question. Question #5: How will my investments affect my taxes? A financial advisor can do more than just help you pick your investments. They can also give you information and advice about your taxes, especially as you get closer to retirement. You may have several different types of investments, from a 401(k) to a Roth IRA to real estate. And each of those revenue streams (places you’ll draw money from in retirement) has different tax rules. For example, you’ll pay taxes on money you take out of a 401(k) at retirement, but you won’t pay taxes on money you’ve put into a Roth account (in most cases). Taxes can be confusing, but I don’t want that confusion to cause you to make a mistake. The IRS will slap you with a hefty penalty, and I’d rather you keep your money! By talking with your financial advisor on a regular basis, you can keep track of your tax situation and adjust your financial plan when necessary. Now I realize you might not have a financial advisor who you work with regularly. Or you might not like the one you have. If that’s the case for you, let me suggest our free SmartVestor Pro service. Just type in your information and you’ll get a list of financial advisors in your area who have earned my seal of excellence. Whether you’re new to the investing world or you’ve built a sizeable nest egg, you need to ask your advisor these questions. It’s a checkup you can’t afford to skip! To learn even more, check out my recent podcast episode: 8 Burning Questions for Your Financial Advisor. Don't have a financial advisor? Find a professional to help you create a plan for your wealth-building goals.